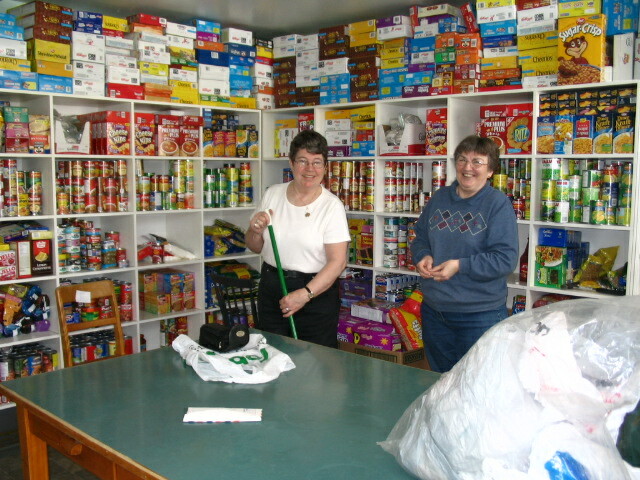 Holy Redeemer Food Bank Outlet is one of two food banks within the Food Bank Network in the City of Corner Brook, Newfoundland. Sister Alicia Linehan is the Outlet Supervisor there and her assistant is Arlene Beales. The outlet serves people on Monday and Wednesday afternoons and on Thursday mornings. Twenty Five volunteers help run the food bank: packing food requests, stocking shelves, etc. In addition to her position as Outlet Supervisor, Sr. Alicia is a member of our Board of Directors of the Food Bank Network, serving on the Executive for the past 5 years! She gives countless hours to keep the food bank in operation, certainly an asset to the Network! In 2008, this outlet filled 576 requests for food assistance, serving 40% of all people who use area food banks, approximately 50 families each month. The center is Located at 469 Curling Street at the RC Diocesan Centre in Curling, Newfoundland. This space is available through the generosity and support of Bishop Douglas Crosby and the diocese!